It’s been a whirlwind three days. Tuesday and Wednesday I spent wearing my consultant hat. I scrounge occasional work as a Mac consultant for small business, and a few weeks ago my friend Joy decided it was time to upgrade. She runs a small graphic design shop and has hired a second artist. Since she’d have to buy a new workstation for him, she decided to upgrade herself and to add a drawing tablet. Joy (and I) love CRT monitors, but they are on the way out, replaced by LCD flat screens. I looked at La Cie and that company no longer even makes CRT displays. The nice thing about Joy is that money is not much of a factor, so I get to go crazy vicariously. I mentioned the Wacom Cintiq 21UX tiltable monitor with built-in drawing tablet, which has received phenomenal reviews across the Web. I don’t think I’ve ever seen a single product so universally celebrated. Joy wanted to to buy all Tuesday, though, and wasn’t crazy about buying that without trying one out. While we waited for the techs to install the wireless cards and extra RAM, I indulged my inner metrosexual and went clothes shopping with Joy. We girls picked out some clothes at Old Navy for her boy and were not surprised when Visa turned down the card after the $12,000 spending spree. We took the equipment back to her office and I set up the two machines. This was the first time I had the opportunity to use target mode to transfer files between an old Mac and a new one, and I hadn’t realized I’d need a Firewire cable to do that. I popped downstairs to pick one up at the nearby Microbytes and spotted Clément, DUBB’s band leader and trombonist, on the sidewalk. He works in the same building as Joy. The files transferred like… – well, like they should. It is so easy and it just works. Joy’s IT guy is a big Windows fan and insisted that he could build a similar PC for a sixth the cost. Once we went through what the Macs offer, he changed his tune. He wasn’t aware that the Macs use Xeon chips, for example. He’s now willing to admit that the Mac is at most a few hundred dollars overpriced. I don’t necessarily agree, but even if so, it’s a small price to pay for the ease of use – like transfer mode. We left the office with the transfer underway. I suffered my first new injury the next morning, being yesterday. One foot slipped on our vestibule floor and my other shin came down hard on the door jamb. I don’t bruise easily, but I felt every second step I took yesterday. Joy had a few small problems that I fixed with new software installations and one problem that I can’t solve. The fonts used by her widgets are an outline font and impossible to read. It’s almost certainly a font management problem. She uses FontAgent Pro to manage fonts instead of Font Book, but I don’t know the widgets (and the Apple widget Web page) would fail to display properly with all fonts active. I could troubleshoot this, probably solve it by getting rid of FontAgent Pro, but she likes that software. Maybe it needs an upgrade. Everything went smoothly. Back home, I got a second new ow, a headache – not a migraine, but a doozy. It took the painkillers a while to dull the pain and once they did, I only managed a fitful sleep, again. This has become a common disturbance. It never used to happen. I’d been hoping for a good night’s sleep because today I joined the tech scout to all the locations for Alex’s film. I met the rest of the major crew and we traveled from location to location setting up shots and establish lists of gear and props. At times, I felt useless, but I learned a lot just listening. Our first location was at the office of Richard, an old camp acquaintance of mine. 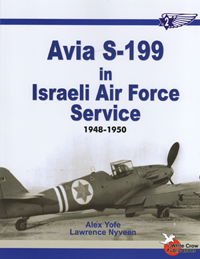 He’s real big on history, and we had a nice chat about the Avia S-199 book, which should be in my hands soon. Richard was not the only person to chat airplanes with me. Among locations, Mark and I had a running conversation about George Beurling, who coincidentally died 59 years ago this coming weekend. We discussed what a story about him would be like. We plan to talk more in the future. Who knows? Maybe this could grow into something. I haven’t brought up my mechanima/3-D/music video idea with him yet, but that might be a place to start. I’ve caught no more mice since the first two. They are either becoming rarer or smarter….